When we do our free estimate, we look at your roofing and gutters to see how much remaining life they may have. If we see that the roof can last a few more years, we may suggest repairs or maintenance to help prolong its life. Roof maintenance includes removing debris from the roof surface, sealing all pipe penetrations, cleaning debris from gutters and downspouts, and sealing flashings or edge metal. 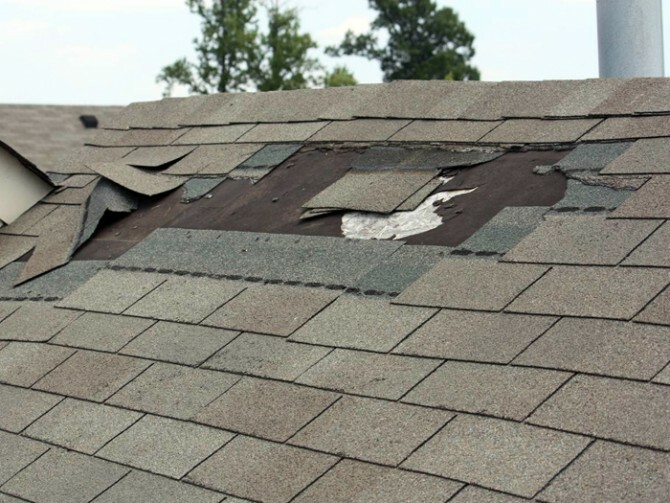 If we see that repairs are needed, we may suggest a patch with a coating to help extend the life of the repair. If, after we inspect your roof, we suggest replacing it, we’ll give you options based on the type of roof that we feel would provide you the greatest value and longest roof life. Why would you spend thousands of dollars on a roof that won’t last? This is why we suggest only roofing types that are problem-free, with a history of longevity. See roof product options on our products page. Call today for a free estimate or to schedule a roof repair. ARS Roofing, Gutters, and Waterproofing provides free inspection with comprehensive estimates for your roof, gutter and/or deck system. During the inspection we look to see if your roof has remaining life and what would be the best way to prolong its life. If we see that the roof can last a few more years we may suggest repairs or maintenance to extend its life. With routine maintenance, your roof can often last a few more years before needing replacement. Roof maintenance includes removing debris from the roof, sealing all pipe penetrations, cleaning debris from gutters and downspouts, sealing flashings or edge metal, and sealing cracks in the roof membrane, tile, or shingles. If we notice that a more extensive repair is needed, we may suggest a patch or coating to prolong the life of the repair. If, after inspecting your roof, we suggest replacement, we’ll give you options based on the type of roof that we feel would provide you the greatest value and longest roof life. There are many great products available for both pitched and flat roofs. We suggest only roofing systems that are problem-free, with a history of longevity. Why would you spend thousands of dollars on a roof that won’t last? All the products we install carry up to a lifetime warranty. See roof product options on our products page. Some gutter systems carry a lifetime warranty against rust for as long as you perform necessary maintenance such as routine gutter cleaning. Once or twice a year is usually sufficient depending on the type of foliage around your property. During the inspection we will determine if your gutter system has deteriorated. Signs of deterioration include holes in the gutters, rust through and leaking seams. If your home is surrounded by trees, we might suggest a gutter screen to reduce the need for frequent gutter cleanings. We recommend that your gutter system be inspected once a year to ensure it is functioning properly, especially before the rainy season. One of the most important things to do is to keep your gutters free of debris year-round. ARS Roofing provides an economy, standard and ultimate gutter cleaning package to fit your needs. See our gutter products options on our products page. Do you have a [I’ve never seen the term “walking deck”; it’s usually just “deck.” Unless the word “walking” is needed to conform to industry standards or for some technical reason, I’d delete it.] deck that is experiencing wear? Is your metal roof showing signs of rust or deterioration? During our inspection we can determine which waterproofing product will work best for you. Let ARS Roofing provide a worry-free system for you today. Call us for a free estimate or to schedule your project.